A MACHINE OPERATOR who was fired over an incident which cost his employer €93,000 has lost a case for unfair dismissal. The worker took his case to the Workplace Relations Commission after alleging that proper procedures were not followed in the run up to his dismissal in March 2017. He also made a number of other claims against his employer, including that he was dismissed after raising concerns over a Health and Safety issue, and that he was not given payment in lieu of notice of the termination of his employment. In its response, the man’s employer said that he was dismissed for gross incompetence and negligence following his involvement in 16 separate quality incidents. It also highlighted that the final incident cost the company €93,000, because the machine he was working on had to be taken out of operation for four weeks. A representative for the company said that after the man was hired in April 2014, his performance was initially satisfactory, but problems with his work soon arose. The man was spoken to informally with a view to helping his performance and having the company mentor him. However, the company said that more problems arose between March 2016 and March 2017, when the man failed to follow correct procedures on a number of occasions. 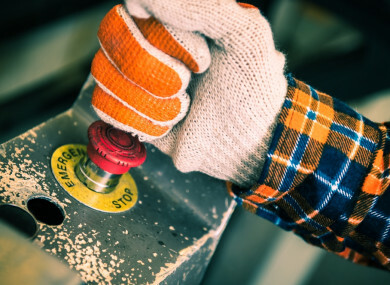 In March 2016, the drum coating on a machine had to be replaced after the man changed the machine’s settings, following which an alarm on the machine was also found to have been tampered with. The man was given a verbal warning over the incident, after he admitted to making changes to the machine’s settings which he was not authorised to perform. Two months later, the man was disciplined again after not following the correct procedure for washing parts of the machine and for changing a grease cartridge without knowing how to do so. He was subsequently called to a meeting with his supervisor, where he was given a written warning, and the company decided to provide him with additional training in an attempt to help him improve his performance. However, the company told the commission that despite this, the man continued to follow incorrect procedures, which resulted in further incidents over the next ten months. In March 2017, the man was involved in another a major production incident when he misjudged a situation and pressed the emergency stop button on a machine. This forced the company to put the machine out of service for four weeks, lead to a significant loss of production and money. The man was suspended the following day as the company carried out an investigation into the incident. During the investigation, the man told the company that he did not know that the emergency stop button was only to be used in actual emergencies, and said he pressed it when he heard a banging noise coming from the machine. A few days later, the company wrote to the man telling him he had been dismissed for negligence and gross misconduct. However, the man claimed that this was unfair procedure, as he had not been advised before to the investigation that his job could be in danger. In her findings, an adjudicator for the commission noted that the incident which led to the man’s dismissal had serious repercussions for the company. She said she was satisfied that the man would have been aware of the seriousness of the incident and of the resulting financial loss to the company. The adjudicator noted that the man had received a verbal warning and a written warning over his failure to follow procedures, and that he had been involved in 15 other incidents. She also said that she was satisfied that the man should have been aware that his dismissal was possible following the investigation, given the seriousness of the incident and of previous incidents in which he had been involved. The commission was therefore satisfied that the company’s decision to dismiss the man was fair, reasonable and in line with its disciplinary procedure, and rejected the man’s claim for unfair dismissal. Email “Man who hit emergency stop button on machine, costing company €93,000, loses unfair dismissal case”. Feedback on “Man who hit emergency stop button on machine, costing company €93,000, loses unfair dismissal case”.